Mega Sale! Save 26% on the Harbinger Wrist Supports, One Size, Black by Harbinger at Cardio Fitness Plus. MPN: 40800. Hurry! Limited time offer. Offer valid only while supplies last. 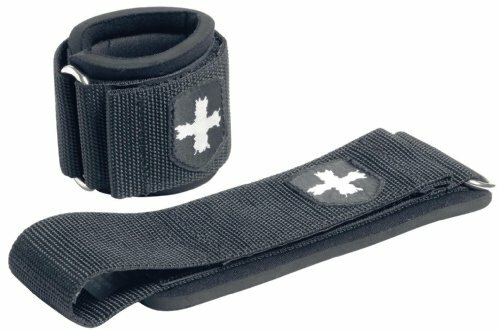 Extra wide 2inch stabilizing strap provides maximum wrist support while lifting. Full 6mm neoprene wrist cuff cushions wrist during lifts. Extra wide 2inch stabilizing strap provides maximum wrist support while lifting. Full 6mm neoprene wrist cuff cushions wrist during lifts. Non-stretch design maintains strong wrist positioning. Steel tensioning buckle secures fit. One size, fully adjustable for customized fit. Hand wash cold; lay flat to dry. Weightlifting Wrist Wraps - Pair of Adjustable Elastic Wrist Straps Perfect for Bench Press, Push Ups and All Pressing Movements, Eliminate Wrist Pain and Lift Heavier!